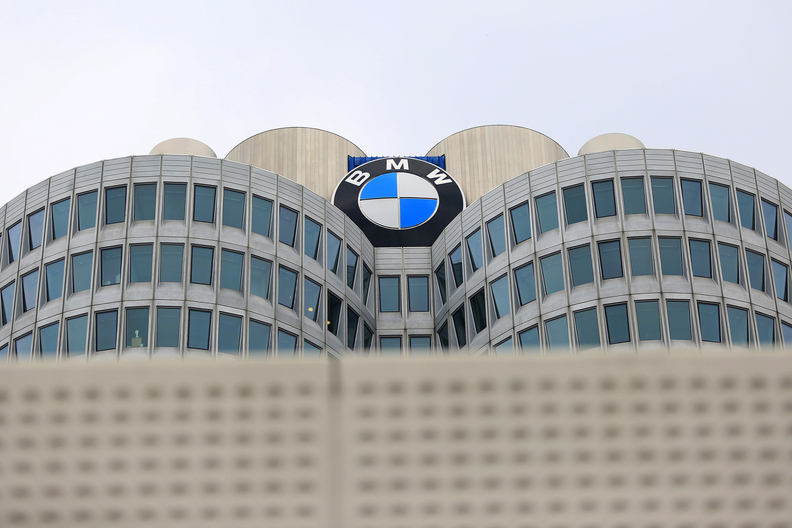 MUNICH — BMW warned that its 2019 earnings will fall "well below" last year's level and announced a 12 billion euro ($13.63 billion) cost savings plan to help offset the impact of trade conflicts and unprecedented spending on electric vehicles. Pretax profit is expected to decline more than 10 percent this year, the automaker said Wednesday. BMW is responding by stepping up a savings program with plans to cull models, reduce development times by as much as one-third and hold the work force steady this year. "Our industry is witnessing rapid transformation," CFO Nicolas Peter said. "A sustained high level of profitability is crucial if we are to continue driving change." By the end of 2022, BMW expects to take advantage of potential efficiencies amounting to more than $13.63 billion. Some of that would come from ramping up digital simulations as a way to reduce vehicle development times by as much as a third. "Among other savings, digital simulations and virtual validation could eliminate the need for some 2,500 expensive prototype vehicles by the year 2024," BMW said. BMW flagged a challenging year ahead last week, saying great efforts will be necessary to push through the costly shift to electric and self-driving vehicles as markets fall and trade concerns mount. The company said automotive profit margin will be in the range of 6 to 8 percent this year, below an 8 to 10 percent long-term target. Last year BMW's automotive margin was 7.2 percent. Peter said that guidance could fall further if conditions worsen. "The high level of volatility makes it difficult to provide a clear forecast," BMW said. "Depending on how conditions develop, our guidance may be subject to additional risks; in particular, the risk of a no-deal Brexit and ongoing developments in international trade policy," Peter said. BMW’s weak outlook is a "troublesome" sign for the sector after the automaker looked better-placed than competitors with a number of strong new models and the luxury-car market in China holding up, Bernstein analyst Max Warburton wrote in a note. "This warning will inevitably increase worries about weaker names in the sector." New vehicles such as the BMW X7 full-size crossover and the revamped 3-series sedan will boost business in the second half to help deliver growth in all major sales regions, BMW said. The automaker's deliveries have dropped 2 percent through February as European sales declined for a sixth straight month. 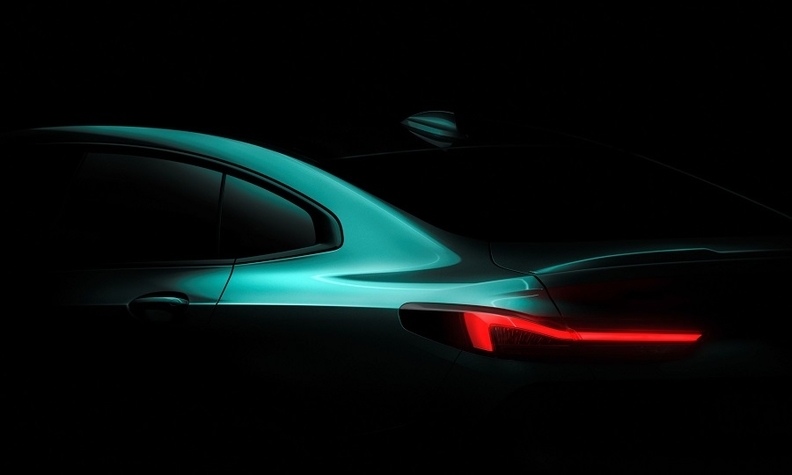 BMW released a teaser photo of the 2-series Gran Coupe. BMW will launch sales of the revamped 1-series compact car late this year and the new 2-series Gran Coupe in early 2020. The cars will use BMW's front-wheel-drive architecture, which is used on vehicles such as the BMW X1 crossover and Mini Countryman. The 2-series Gran Coupe will compete against the Mercedes-Benz CLA. BMW said it will debut in November at the Los Angeles Auto Show. BMW said last week that it will not build a successor to the 3-series Gran Turismo "despite a good level of demand." More derivative versions will also be cut, the company said, without specifying them. The company said it will eliminate about half of its drivetrain variants beginning in 2021. BMW is particularly hard-hit by trade concerns, with earnings suffering from extra tariffs on vehicles made in Spartanburg, S.C., and shipped to China. Concerns over Brexit continue to weigh, and BMW has said it may move production of the Mini in Oxford, England, to elsewhere in Europe if the U.K. leaves the European Union without a deal. In addition, U.S. President Donald Trump has threatened to impose levies on European-made cars exported to the U.S. The struggles are adding to challenges from higher spending on new EVs, while efforts to comply with stricter carbon emissions regulations will also drive up the manufacturing cost. Currency swings and higher raw material prices will have a medium-to-high three-digit million euro negative impact, BMW said.